okay, if there´s one thing i applaud hedi slimane for, it is his ability of spicing up conversation at the dinner (read: macaron) table. after his first season for saint laurent (yes, we´re dropping the yves for conversation's sake), there were several mixed reactions. i for one loved it, though my opinion clearly doesn't count since i am not a typical YSL customer, so many hated it as well. i am saving you the links to articles saying such as you probably have read those already. now with the second collection, all eyes were on him. will he save YSL's reputation or will he make a laughing stock out of himself? after seeing the pictures from the runway (GOD BLESS THEE STYLE.COM), i was not surprised. PUNK'S NOT DEAD LADIES AND GENTLEMAN. IT´S BACK. clearly, slimane wants to cater to the young, modern YSL customers, not the french & elite. though this is such a huge step, i don´t see why everyone is bashing. if he stick to what ysl did before, where's the fun in that? LONG STORY SHORT... LOOK AT MY BOOTS! THEY'RE ELECTRIC BLUE. you got a point. i am a ysl customer, but I am just not convinced why they're targeting on the younger customer but their prices suddenly went up? Loving the black and blue! 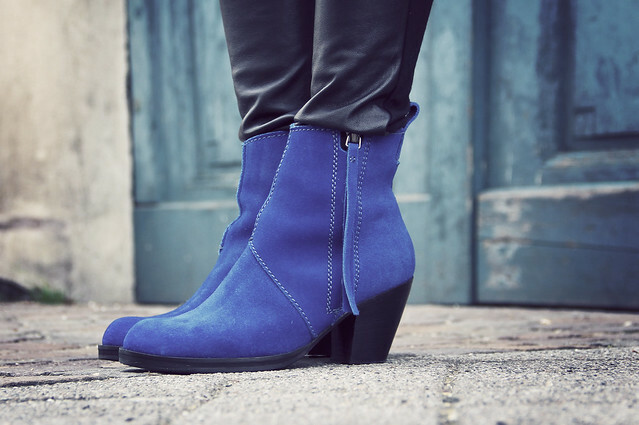 ahh those boots are the most amazings things ive seen today. love the colour, love acne! Mode junkie is the best! You look great, amazing tees (my favorite) and hats! 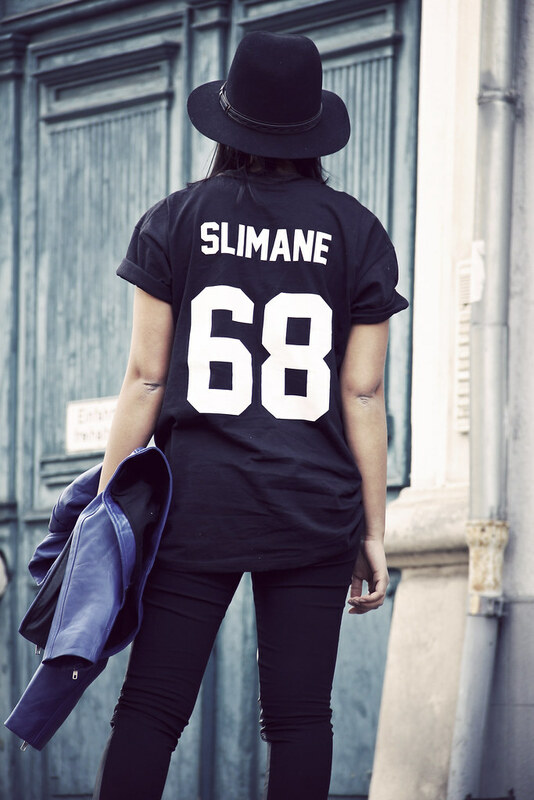 I love that SLIMANE t-shirt! I also really like your shoes. You look beautiful as always! Check out my street style site! We'd routing for YSL to drop Slimane. High fashion is a starting point, trashy dresses is the sad, vulgarised end of the chain that ends in young girl's closets. I love the blue ACNE's! Win €100 to spend on bikinis on my blog!